I bought my d600 a month ago and I am constantly blown away by how well it auto white balances, manages auto-iso, and how flexible the dynamic range is. I am actually forcing myself to shoot manually for a while because it's making me a technically inept photographer. I also appreciate the smaller form factor, even with my fairly large hands the grip is generous. I stepped up from a d7000 and what I appreciate the most is the much much brighter viewfinder for manual focusing. My 75-135 e series is my favourite lens right now. it's an awesome camera! i love it! The images look soft throughout and are surprisingly noisy above 2000 ISO. On top of this there are some strange colour renditions - the orange autumn leaves in slide 22/35. 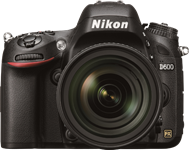 In the 'compared to' section the D600 is consistently soft against a range of competitors. Frankly this camera surprises on the downside, something that comes as a bit of a shock to me. I thought it would be a belter. It's not. Let me guess, you're a Canon shooter? All you have to do is turn up the sharpness. That's what I do, and it gets so sharp that I turn it down depending on what lens I use. I have no idea what review you are referring to. this camera performs as well, and in many cases better (image output) than cameras $500-$1400 more. I agree. Go to the "compared to" section, place the square at the playing card and check sharpness...Compare it to 5D markII or even Sony Nex 5N. Could this be a focusing-failure?? Wrong, I'm currently without a DSLR and had plans to join the Nikon camp, not least for the excellent lenses. However I've been disappointed with both the viewfinder (and lack of rear screen on off sensor) on the new D5200, and with the output of the D600. Factor in reports of oil and focus problems with the latter, and I'm just plan disappointed, my cash remaining parked in my bank account. I find the start of the conclusion a little 'odd'. Hard to put into words, but it sounds like positively raving over normality: "it matches or exceeds the pixel count of every other full-frame system camera." (in italics to make sure we noticed the stress!) which makes it seem like there are thousands of rivals on the market! Also, it praises the 'flexibility' as though being so much more than anything else, whereas it just sounds to me what might be expected in a camera of this price. I don't want to be to 'extreme', but I could almost imagine they were on the verge of saying " and it has a viewfinder too and a lovely strap!" Come on DPReview! I wouldn't for a second think this is not a spectacularly good camera (it is, after all, the latet technology and thousands of dollars), but can we have a more rounded and balanced conclusion, please? I think the comments by DPReview have to be taken in the light that Canon has announced a camera at the same price point tht is significantly below in megapixels and feature set for the same price point. Add to this the fact that this camera has a very compelling and competitive feature set by comparison to the current offerings from all other manufacturers for a lot less (5dIII, A99, D800). The D600 blew away (exceeded) my expectations when I actually handled it. If you haven't tried it, you should. It truly is an awesome camera. It's the least expensive FF DSLR ever released, and near the very top of all FF DSLRs currently made for IQ. For price/performance ratio it D600 delivers big time. What more do you want? 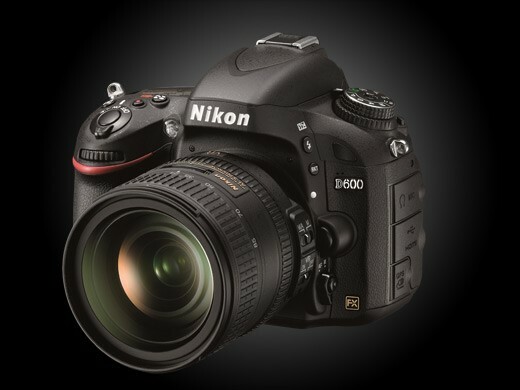 indeed the Nikon D600 is the finest DSLR ever made. Perfect balance between high resolution and Iso performance. The colors are rich, images perfect, handling and construction are top notch. My 6x7 camera will sleep for a while now. Ventur, you are of course right about the A850 though I think he meant cheapest FF camera you would ever consider purchasing. I am not sure who would buy that camera today given it's max usable ISO of 400. Only usable at ISO 400?? Its better than any current APS-C in the market at high iso, or tou gonna say now that a D7000 or 7d are not usable too? Remarkable that the D800 seems to have the best hi-ISO rendition; @ISO 6400-RAW, move the cursor on the black portions of the Bailey bottle (left side). Seems more like a higher blackpoint in the converter, effectively cutting off/masking the noise. Not sure what your looking at but D600 with tiny edge over 5D III then A99 a bit ahead of the D800 IMO. I had to return my 1st D600 because of a reappearing spot on the sensor (suspected to be oil). I'm going to be watching the sensor of my 2nd D600 closely. Still, the quality of the camera (the speed, AF precision & accuracy) is so nice that I'm willing to put up with an occasional wet sensor cleaning. I've invested in Eclipse Type 3 Sensor Swabs along with their cleaning solution. Also, I'm not saying that the oil/dust problem is acceptable at all. Nikon needs to find a permanent fix for this and repair affected models for free including shipping. But this camera is so much better than my D300 that I just cannot go back to using that thing. This is my situation coming from a D300 and want to move to FF. Sadly I have had no luck with wet sensor cleaning ( I always leave residue somehow) ) so I have been holding off until this is addressed. I was so happy, I've been able to give up on pixel peeping. Thank you guys for persuing Nikon over the dust issue! *VERY* interested to hear what Nikon says.. I bought a D600 and had the same issue, and i've had to invest in a wet sensor cleaning kit and go that route myself.. I've had to clean it a number of times so far and is not the easiest thing to get perfect.. Hopefully the problem subsides with use.. but if it doesn't, i'd be quite upset if i had to do a wet sensor cleaning every 30 photos.. I have a hard time believing that this wouldn't have been spotted in standard QA procedure. > *VERY* interested to hear what Nikon says. "Thank you for your inquiry. We have not had any reports on this issue before. You shouldn't lubricate the shutter mechanism by yourself." The only one in its category. Does anybody know what cameras belong to ``Low (budget) Range Full Frame camera``? Dear DPR, you really need to reevaluate your categories. Whats the real difference between ``Mid Range Full Frame camera`` and ``Semi-professional Interchangeable Lens camera / DSLR``. Mid range is semi pro as far as i know. And considering that d800e has far superior sub 7k$ base ISO sensor than anything else on the planet, please tell me how is it ``semi pro``? Thats is the fairest system i can think of. Unfortunately, ranging cameras by price just creates different problems. The D600, for example, isn't a cheap camera, but it's relatively inexpensive for a full-frame camera. And by the way - the D800 has been recategorized, it's now in 'semi-pro full frame camera', following the publication of the D600 review. That change hasn't completely propagated to the site yet but you should see it shortly. so D600 is Mid range FF camera, and d800 is Semi range FF camera, or what, i dont get it? "And by the way - the D800 has been recategorized, it's now in 'semi-pro full frame camera', following the publication of the D600 review. That change hasn't completely propagated to the site yet but you should see it shortly." Whats the difference between MID range, and SEMI range? You mean mid-range and semi-pro? Lots of things - price is a good indicator, but it's what that extra money buys that's at the root of the distinction. So the D800 has Nikon's best AF system, for example, and highest pixel count. Yet it lacks the integrated vertical controls that Nikon offers in its flagship 'pro' models, along with a host of other things, which matter to the top 2% of photographers, but not really anyone else. So the D800 is semi-pro. Professionals can and do use D800s for serious work, and the camera is nice and rugged, but the D4 (or D3S) still have some advantages. The D600 is 'mid-range' because its systems are mostly one rung down from those used in the pro and semi-pro models. It uses a tweaked version of an older (and smaller - with fewer AF points) AF system, it isn't 100% magnesium alloy in construction, and shares a very similar UI to the consumer-targeted D7000 and D5XXX-class products. So, tell me which cameras are: High range not professional cameras? You cant fill in the blanks, and THAT is what i am talknig about. 1) Specification and design consistent with the expectation of a camera somewhere between and entry-level DSLR (eg D3200) and a full-blown pro DSLR (eg D4), that has a full frame sensor. 2) A camera that comes in the middle of the available full frame market. Which do you think we're using? The D600 is clearly aimed at a similar user to the D7000 (which is unequivocally mid-range), but happens to cost more and perform better because it has a full frame sensor - such that it doesn't make sense to directly pit them against one another. As such it makes sense to put it in another category. However, although it is the level at which you can enter the full frame market, it's not comparable in any sense to something like a D3200, which most people would perceive as an 'entry level DSLR.' The term is slightly ambiguous but it shouldn't be that hard to work out what we mean by it. I prefer the current DPR deployment using FX, DX, etc. Price splits would be an annoying way to carve things up. I have checked the RAW ISO vs 5D3 its seems that 5D3 is better at one stop over the D600. Why DPR concludes with "Outstanding low and high ISO performance in both JPEG and Raw files" and not just very good? "Outstanding" as being related to which peer full frame camera? 5D3 has worse high ISO performance than the D600. Look at RAW, in any shadow area, like the grey patch below the pencils. The 5D3 has more chroma noise than the D600 at ISO 3200, 6400 and up. You need to look again. Based on what DxOMark testing revealed, DPR is right on the mark in their assessment of the D600 low-light abilities. They are close to D4 levels. Impressive. related to the one NASA sent to Mars recently, will that be enough to make you buy D600 instead of the other`CHEAPER´full frame cameras available from Toyota , Honda or Ford ?. by the way, one is 2000$ and the other is 3500$ , one has Noise Ninja built in, the other you´ll just need to buy one extra .there is no free lunch :-) . that 5D3 is pretty useless now that the 1DX is " better at one stop over "(whatever that means,i think i got the point) than the 5D3, `according to your logic. eh? what do you say? Outstanding in relation to the other cameras in it´s `Mid range , entry level FF cameras´, for the time being there are only 2, which DPR might have already tested and hence that comment, dont you think ;-). fdfgdfgdgf , i hope that´s not your real name, boy, it´d be real stupid, just like your comment. i wish that´ll help you sleep well now. I disagree. I checked the RAW files too and the D600 appears to my eyes to be slightly better at ISO6400 and above in terms of noise. The focus plane is slightly different in the 5D Mark III shot so some areas are sharper, but that has nothing to do with noise. The performance of the D600 is better than the 5DIII. just take a look at any of the shadowed areas, i.e. the shadows in the cubby holding the spools of string. @marike6: Sony chip internally alter RAW files, it's obvious. For instance; compare RAW ISO 1600 tests, 5D3 is incomparable in shadow areas than check JPEG ISO 1600 same location, magically 5D3 have less noise and more detail. LOL, you have no idea what you are talking about do you. There is a discussion in the Canon forum that is pretty active right now showing proof positive that the Canon 5DIII files are heavily cooked. Another well put together review, in such a short time, excellent job, well done . I mentioned this in the thread posted on the Nikon FX page: small typo pg 17: ""files from the D600 are hard to tell apart from the 36MP D600"
Wow, an immense 23 PAGE review! Well.... that may just be way too long for most of us mere mortals to chew through. After all.... it's only a camera. and after all it´s only a review, you dont have to eat it, so get something edible to chew. geeez. @Amadou I was hanging on every word! I expected more criticism for the AF, but I guess since the 6D has a similar scheme it makes sense. Well done review but the scoring is way off with the D800 scoring an 82% and D600 an 87%. I get the whole price/performance thing, but the D800 features the D4 AF module, better build quality and pro-level VF, better video quality including the ability to change aperture in Live View (a big one), et al, for only a bit more money. DPR does really well with reviews, but they don't weight things like significance to the market. The D800 at 36 mp is a ground breaking DSLR prompting for the first time comparisons with medium format cameras costing many thousands of dollars more. It's the first DSLR with clean HDMI output in video mode. Add the D800E in the mix, which AFAIK is the first time there has been a FF DSLR without the low-pass filter. These kinds of innovations should always factor in reviews. Considering all these groundbreaking features and performance gains, the score of 82% is quite honestly a joke. Good review, but huge fail on the scoring. No offense. With the arrival of FF enthusiast-targeted DSLRs, we've created a new mid-range FF camera category. This will include upcoming models like the Canon EOS 6D, for instance. So we're purposely not scoring it relative to the D800. Your argument with the scoring of the D800 is well taken, and our plan is to re-evaluate scoring in general in the coming year. But I just want to make clear that the D600 is scored in a different category. I have to add that the D800E isn't the first FF DSLR without a low-pass filter. The D800E still has two low pass filters just like the D800, the difference is that the second OLPF negates the effect of the first filter. If you're going to be so critical of reviews please be concise with your information as well. @JDThomas You're being a bit pedantic, don't you think? Whether D800E has no AA filter or an OLPF filter that negates the effects of the low-pass filter, the result is the same. And this technology is a first for FF DSLR, no? First for a DSLR, but not first for a FF digital camera. The Leica M-series has never used any OLPFs not even double layer negating filters. It also wasn't the first DSLR to allow clean HDMI out, the D4 was. Whether I was being pedantic isn't the issue. You jumped all over the review criticizing it for not giving the D800 the edge due to the features it has, yet you don't even know the specifics of what you're arguing for. I was simply pointing out that if you want to pick apart other people's work you should at least know what you're talking about. Not having an AA filter is NOT a technology, it's the lack of a technology. It is just a design tradeoff. And there are gazillions of sensors out there without AA filters, from mobile phone sensors to industrial cameras to Leicas, Foveon, etc. For some inexplicable reason in their evaluation of the AF settings of the D600, DPR fails to understand the advantage of software driven settings that allow the setting to be saved under the User Settings 1,2 on the mode dial, as opposed to hardware controls that would make that impossible. I feel DPR should at least point out the advantage of storing the AF settings that have been moved from a hard control to a software control. The convenience of the U1 and U2 settings is stressed more than once in the review, but the fact remains - a hardware switch is simply - unequivocally - quicker than either pressing and scrolling or pressing and dialling. And personally I think reserving one of the 'U' settings just for AF preference, when you want to make a quick switch is a waste. I sure do miss those switches that were on my D300. Every time I change settings, I have to look at the LCD to see if I'm turning the wheel the right way. It greatly slows things down. Your still missing the point that the hard switches come at a cost as well, which is that they can not be stored in the U1 or U2 settings, which cripples the settings option in this regard. Given the choice, I will take the software over the hard button approach so I can set up my U1 an U2 with different AF options. BTW, I own a D7000 which uses a similar method of selecting AF mode as the D600 and I find it quick and easy to change AF settings, even with my eye to the viewfinder. I noticed that the dim viewfinder wasn't discussed other than to say that the 600 experience is the same as the 800 and 4. Having tried the camera out in the store, I was impressed with its shutter and responsiveness. The viewfinder dimness was a real let down however. Quite honestly, this isn't something we really noticed as an issue, even when running the D800 and D600 alongside one another. That said, we were typically using different lenses on each, which would make a difference. I'll check this and update the review if necessary - thanks for the suggestion. Due to the electronic overlay screen, the viewfinder is darker when the camera is turned off. Turn on the camera next time! I turned it on and took photos in 2 different stores (big boxers like Costco and Best buy) with fellow consumers coming to the same conclusion, the viewfinder is unacceptably dark. You being used to a crop VF probably explains your enthusiasm, I have shooting Full Frame for a number of years, and maybe that can explain my less than glowing report. I am looking for a cheap alternative to my primary system since EVF in FF don't make a lot of sense unless you do video. Checked it side by side with a D3, didn't look any dimmer to me. the pentax k30 has almost as good noise levels, inbody stabilization but "only" 16mp. And costs like, an arm and a leg, less. K30 is a nice camera, but has nowhere near the high ISO ability of a D600 or D800. actually its better in low light, when you factor in the 2 stop stabilization. Well, if you factor in stabilized lenses, then it's not even close again. Not to mention that the reason why most of us increase ISO is to achieve higher shutter speeds. you cant factor in lenses, because its a camera review, hehe. anyway look at the raw noise yourself. the d600 1600iso is somewhat worse than the K30 at iso800. The K30 has some of the best high ISO performance for an APS-C camera. It's still a full 1 and 1/2 stops worse than the D600. There is more to image quality than sensor noise levels. One of the most compelling reasons for professionals to use full frame cameras is the access to professional quality lenses with better optical qualities and with less distortion than APS-C can provide. Unfortunately, Nikon only has one professional zoom lens, (17-55 f2.8), designed for APS-C sized sensors. If you want to use professional lenses on the format they are designed for, full frame is the "must have" solution. Aye, and if my grandmother had wheels she'd be a wagon. Seriously, the K30 is a nice camera but we are talking different sensors, different universes. Can someone clue me in on the "Oil" issue? I checked every page for the word "Oil" and couldn't find it. What exactly is the issue or what page is it discussed on? The 'oil issue' refers to the unconfirmed possibility that residue of some or other origin is ending up on the D600's sensor, which then attracts dust and dirt. We've observed (and will continue to investigate) the D600's unusual propensity to attract crud on its sensor and this is covered on page 12. I like the fact that dpreview cared about the "oil issue". Although not a severe hitch it's now official that there is a problem that Nikon should be aware of (and take care in future units). They billed me to clean their oil on my sensor. Irish, do you mean your D600 sensor? My D700. My D5100 is even worse. Compelling stuff - still, you'd want to be selling (or printing large) the results to justify the price, attractive as it is in comparison. Happy with my D700. This camera has too many compromises for me and the lens selection is poor. Yes - attomole, a D700 with no video mode and bit more resolution on the sensor, coming in a bit cheaper than the D600 would get my nod, too. isn't the lens selection the same as the lens selection of the D700? Hasn't nikon introduced a record number of new lenses for the FX format in the past 12-15 months. You can't say you're happy with your D700 until you've actually handled a D600...or have you? What exactly do you mean when you say that the lens selection is poor? Lens selection is poor???? Umm, okay, I'll bite; how is the lens selection poor? How can the lens selection be poor when Nikon has the largest selection of compatible (F mount), lenses of any brand in the world? For someone who claims to owns a Nikon D700 you don't seem to know much about Nikon lenses. Maybe you are spending too much time in the M4/3 forum?? Probably means the 'selected' kit lens. It's quite obvious, but you guys were just looking for some smart reply and you know it. Ignorance is bliss. At 24 mpx most nikkors will have difficulty resolving. You will have to replace all of your lrnses with the small amount of expensive and heavy lenses which can resolve 24mpx. To M Jesper, it was obviously not quite obvious; even to the poster...IrishAndy, as he just responded, and he was referring to resolving power, and having to upgrade to heavier lenses not specifically the 24-85. You are right though, ignorance is bliss. You must be the most blissful person in history. To IrishAndy, Nikon just introduced a whole new series of 1.8 lenses that mirror the 1.4 lineup. Based on user reports and reviews, these lenses are performing extremely well and are not having any problems in resolving the D600 and even the D800 megapixels. If you get a chance to shoot them along with the D600, i think you will be extremely impressed. Sorry IrishhAndy, while that nonsense is repeated a lot around here it doesn't make it true. Do you sleep better after telling yourself these "facts?" Do the Irish sleep tho ? My cheapo 50 1.8 G clearly resolves my D600..
And even 24-85 is good enough.. And yes i'm a pixel peeper..
As a D90 owner waiting for the D7100, this is so tempting to jump to FX Why do some like the 24-120 F/4 over the kit lens. The slrgear reviews were not very good. I wish the review had more DX crop mode image comparisons.